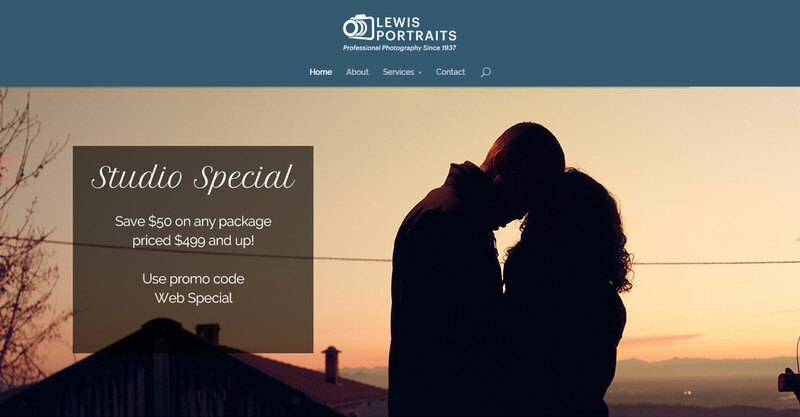 Lewis Portraits is a photo studio located in Birmingham, MI. 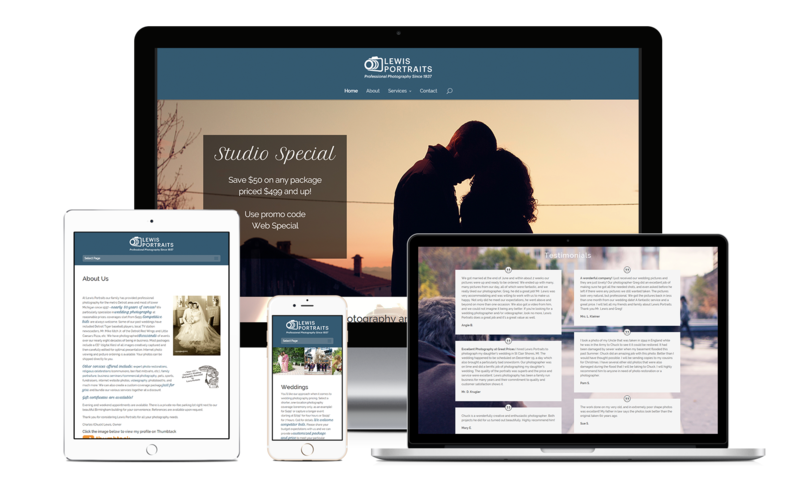 This website was built with the Divi theme from Elegant Themes and included custom graphics, a photo slideshow for each service, testimonials, social media integration, and a contact form. We also set up their Facebook and Instagram accounts for them. I’m not exaggerating when I state that Jessica Sanchez of Zoda Design has been a pure pleasure to work with on the creation of our business website redo. She’s always been very friendly, helpful, patient, and obviously exceptionally knowledgeable in web design and optimization skills. We’re very happy with our new and improved website. I would not hesitate to refer anyone to Jessica looking for these services. I’m sure that they will also find the job done right! Thanks very much for all the great work!